Machine milled on two sides for accuracy on both sides. Large vial with bridged dual view centre vial for ease of use. Shock absorbing end caps. 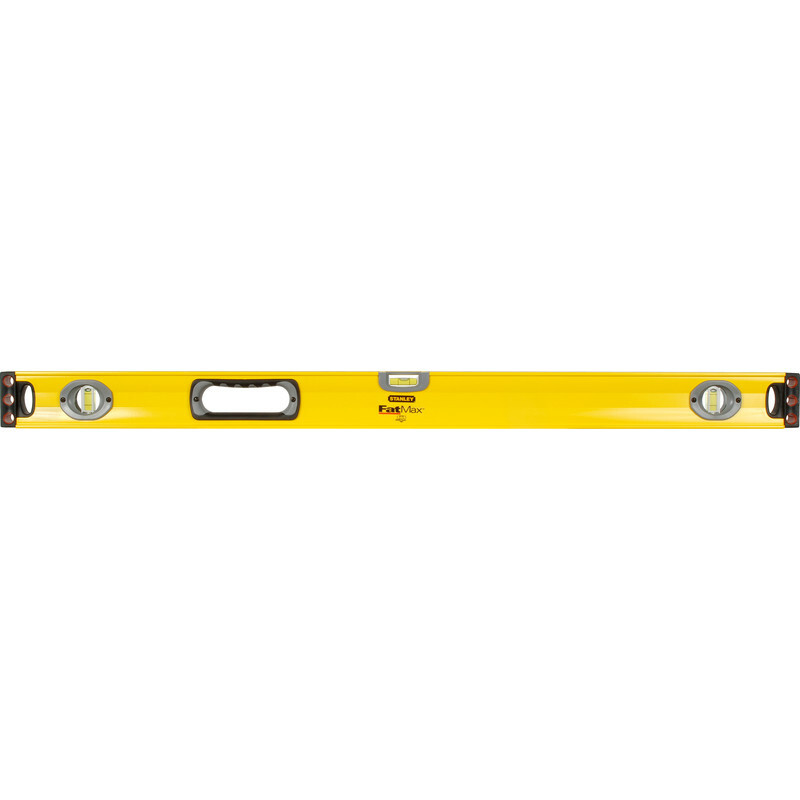 Stanley FatMax Spirit Level 900mm is rated 5.0 out of 5 by 3. Rated 5 out of 5 by BigDen from Brilliant Best spirit level I've ever had. Buy one. If it's long enough for you. Rated 5 out of 5 by Anonymous from Great Spirit level Bought to aid painting and decorating, milled edges make it a even better level. Great piece of kit, better than Mail rivals as their bubble isn't as accurate.